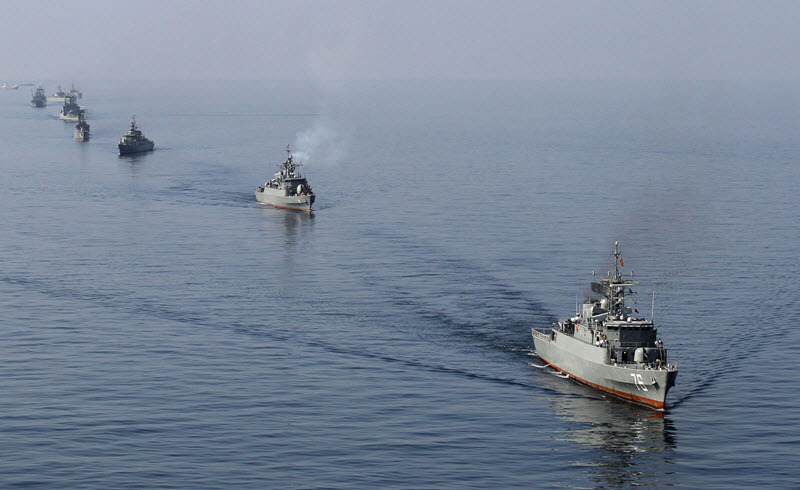 INU - The US military has promised to keep the Persian Gulf waterways open to oil tankers even as the Iranian Regime increases its threats to close off the region. Captain Bill Urban, a representative for the US military's Central Command, said on Wednesday that America and its regional allies "stand ready to ensure the freedom of navigation and the free flow of commerce wherever international law allows”. This statement follows comments by Iranian President Hassan Rouhani on Tuesday, who said that Iran would cut off oil shipments from other countries in the region that passes through the Gulf of Hormuz - a narrow, but important shipping lane - if the world stops buying oil from Iran because of reimposed US sanctions. Rouhani’s comments were reportedly applauded by Iranian General Qassem Soleimani, a man who is already under international sanctions for terrorism, providing material support to the Syrian dictatorship and human rights abuses. Soleimani, the head of the Revolutionary Guard's Quds Force, said that his forces were "ready for any policy”. The renewed sanctions against Iran follow the US withdrawal from the 2015 nuclear deal. In recent days, the US has put pressure on countries like South Korea, China, and India – all key importers of Iran’s oil – and threatened them with sanctions if they continue to trade with Iran. It is not unusual for the Iranian Regime to issue threats of this nature against the shipping lanes that run past their country; they’ve actually threatened or actually acted against cargo ships in the area on numerous occasions. The Regime’s threats and attacks, endanger the lives of the people transporting the cargo, threaten supply chains across the world, drive up prices, and damage the environment. The Regime thinks that this will scare people into kowtowing before them and ignore sanctions. But the world should not cower before the Iranian mullahs. They are hitting back because they are in an impossible situation and they know it. Iran’s already failing economy is sparking further protests in the ongoing anti-regime uprising. Sanctions will only encourage the protesters, weaken the mullahs, and bring regime change to the country. And let’s be clear, the Iranian Regime is a danger to its own people (slaying at least four protesters in the streets this weekend), the other countries in the region (involving themselves in several proxy wars in the region and even having their proxy militias fire missiles into Saudi Arabia), and the wider world (plotting a foiled terrorist attack in Paris last weekend). The international community should stand firm, enforce the sanctions, and finish the Iranian Regime for the safety and security of the world.